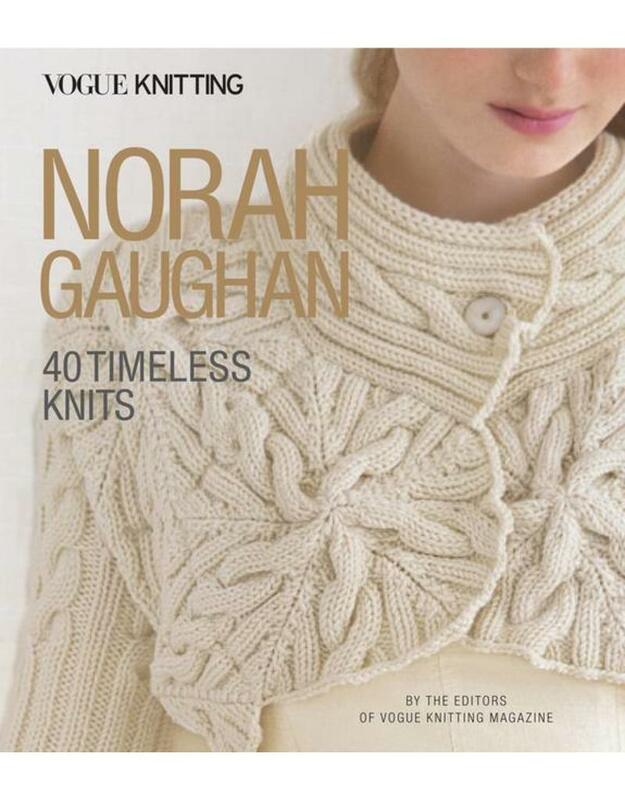 SP VK Nora Gaughan 40 Timeless Knits - Crochet Stores Inc.
Forty stunning intermediate-level designs from one of knitwear’s brightest stars: Norah Gaughan! 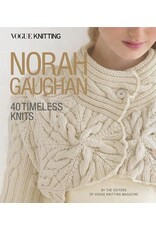 Over the past 30 years, Norah Gaughan has contributed an astounding 120+ patterns to the iconic Vogue Knitting magazine. From inspired textures to spellbinding cables to innovative constructions, she has created a legacy that will last for generations. To honor her achievements and contributions in knitwear, 40 of her patterns from Vogue Knitting magazine have been gathered into a single volume. From a timeless cabled vest, her first Vogue Knitting piece published in 1987, to a striking Fair Isle pullover from 2018, each garment will dazzle knitters. Fun and engaging to create, these patterns and their construction will broaden a knitter's understanding of what knitwear can be. Norah Gaughan has served as design director for Berroco Yarns, Reynolds Yarns, and Adrienne Vittadini Yarns, and has published patterns in leading knitting and textile magazines such as Vogue Knitting, Interweave Knits, and Woman's World magazines. She has authored several knitting books including Knitting Nature, Comfort Knitting & Crochet: Afghans, Comfort Knitting & Crochet: Babies & Toddlers, and Norah Gaughan's Knitted Cable Sourcebook (all published by Abrams).